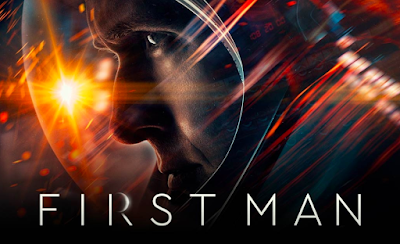 Read Anthony's review of First Man. 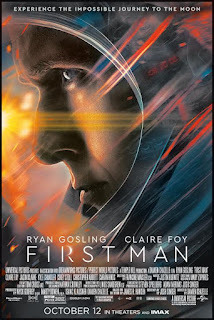 On the heels of their six-time Academy Award®-winning smash, La La Land, Oscar®-winning director Damien Chazelle and star Ryan Gosling reteam for Universal Pictures' First Man, the riveting story of NASA's mission to land a man on the moon, focusing on Neil Armstrong and the years 1961-1969. A visceral, first-person account, based on the book by James R. Hansen, the movie will explore the sacrifices and the cost—on Armstrong and on the nation—of one of the most dangerous missions in history. Written by Academy Award® winner Josh Singer (Spotlight), the drama is produced by Wyck Godfrey & Marty Bowen (The Twilight Saga, The Fault in Our Stars) through their Temple Hill Entertainment banner, alongside Chazelle. Steven Spielberg, Isaac Klausner, Adam Merims and Singer executive produce. DreamWorks Pictures co-finances the film. First Man is in theaters on October 12th, 2018. I went into this movie not knowing much about the film other than it was about Neil Armstrong, and it was supposed to be rather personally about him. Think not so much moon landing but more of the man landing on the moon. And that was pretty much what we got out of the film. The story was there but at the end of the day it was just a good movie and not much special about it; however, I’d like to start with the good. Probably the best thing about this movie was the way it sounded. The folly and just overall sound mixing was extremely well done. It creates this sort of realism within the movie. There isn’t a lot of extra sounds or music except for when we want to know Neil looks at something in complete wonder and awe. And It works I know there's rumors of oscar buzz for this movie but outside of a sound editing award I don’t see much happening for it. The film also has some cool shots, for example we saw the earth in the reflection of Neil’s helmet on both sides of his eyes early on and it looked amazing to see. Also had some cool shots involving the rocket as they were about to go up that certainly help with the intensity of the film. The film also was able to shed some light on how extremely personal this experience was for the man going up. It took a lot of time and men to be able to get to where he went and I feel like it showed a great perspective of what we consider “fame.” Or at least how he looked at fame through the lenses of the experiences and losses he went through while trying to land on the moon. Ryan Gosling’s performance was a rather exceptional one from what I can deduce. All I really know about Neil Armstrong was that he was in fact a very private and reserved man. And that’s what we get from Ryan. A private character who kept to himself and had a hard time talking about how he felt with others. He fit well into that cookie cutter mold of the 50’s and 60’s. Normal house with normal kids and a normal wife. And maybe that’s why he was as reserved as he was but nonetheless Ryan Gosling was able to sit in that seat rather well. But I don’t no if it was worth saying it’s “out of this world” for lack of a better term. My biggest complaint was how long this film was. The first hour and forty-five minutes went by at a reasonable pace and kept me well entertained. But when I realized I had another forty-five minutes before it was over I knew I had to grin and bear it. It’s a personal story so it won’t all be fast paced and I get that. But man they certainly could have shortened that ending by at least twenty minutes. It was good movie! There is no doubt about it. But I would say this is more for the fans of you space nerds and history buffs than anything else. Anthony (Contributor) was born and raised in the Tampa, Florida area. He likes Pina Coladas and long walks on the beach. He spends most of his time watching movies and spending times with friends. 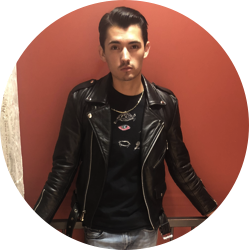 Click Here to check out Anthony's Articles.